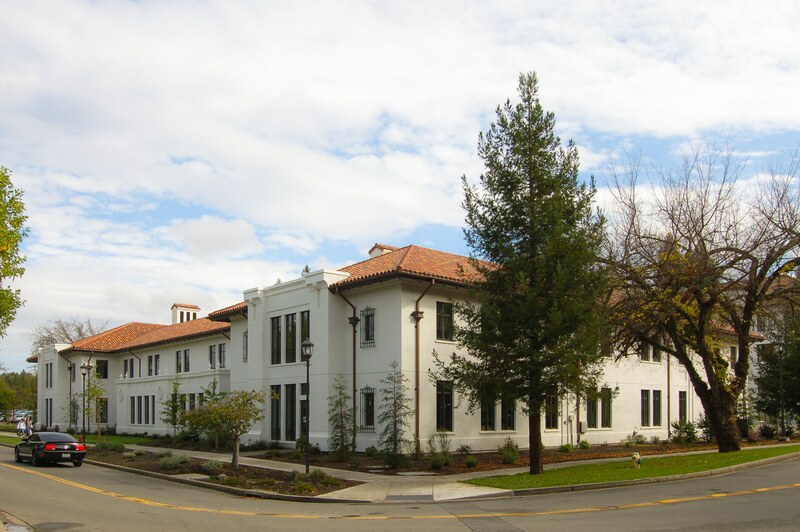 This two-story, steel framed structure is prominently located along the front of the campus and was built to house the Kalmanovitz School of Education. 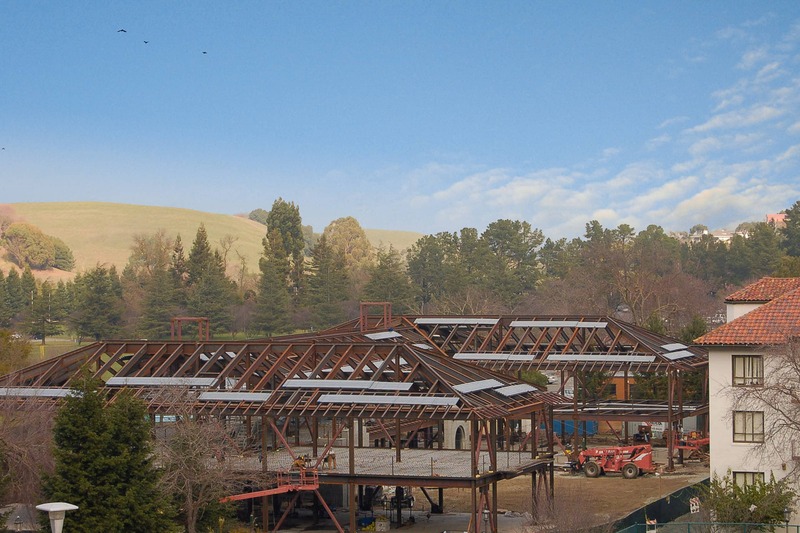 The building was designed to maintain the architectural aesthetic of the campus while utilizing modern framing systems to give the structure a high level of seismic performance. Complex structural steel framed hip roof construction with depressed mechanical roof top courtyard. At our urging, geotechnical recommendations for an expensive mat foundation were revisited and, with further testing, led to a considerably less expensive continuous spread footing foundation system. Recommended and developed testing program for cost-effective clay tile roof support system, eliminating the need for plywood over the rigid insulation. 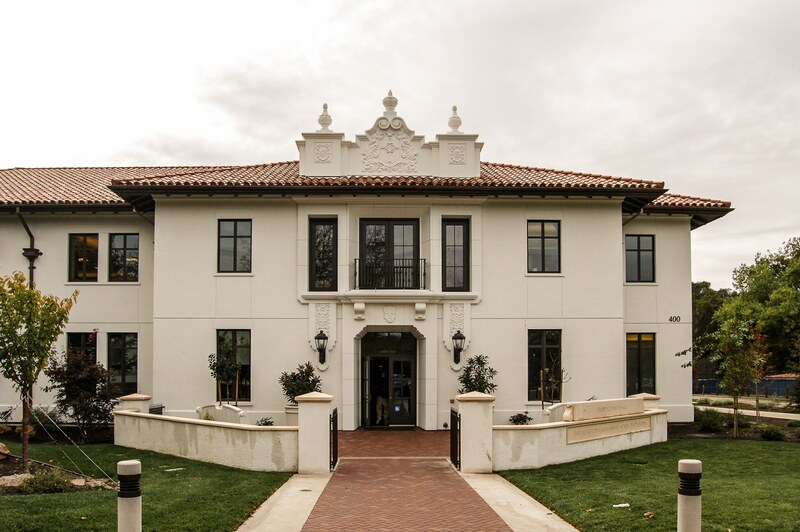 Provided support structure for custom Glass Fiber Reinforced Concrete (GFRC) ornamental features, assisting the architect to seamlessly link the building with the campus Spanish Colonial Style vernacular. 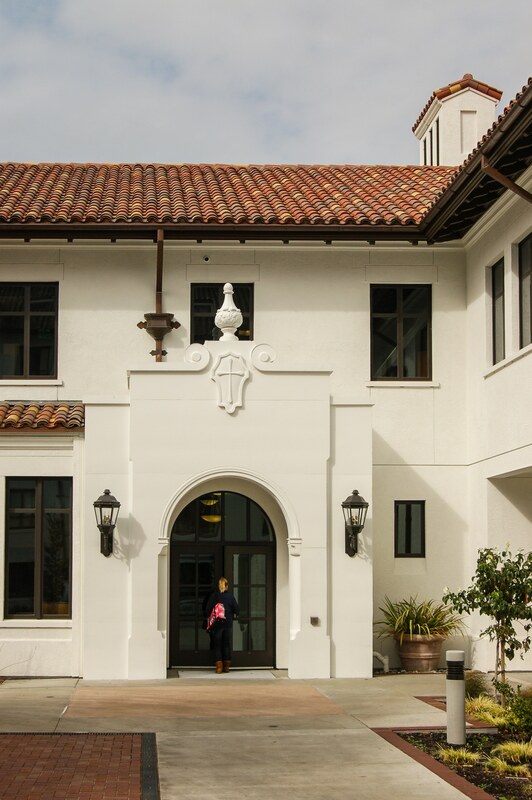 Twin cast-in-place concrete entrance portals are seismically separated from the more flexible steel building structure to reduce the risk of seismic damage.